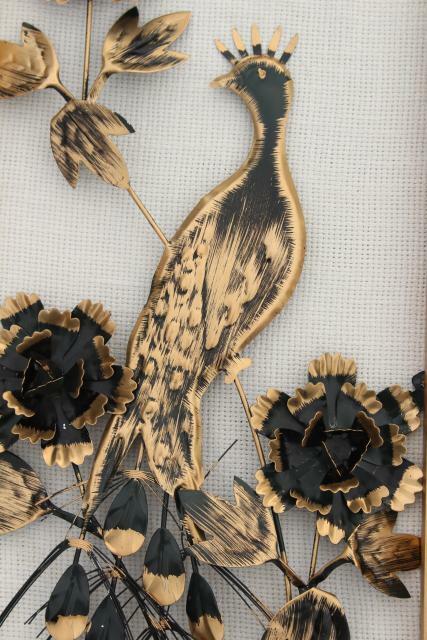 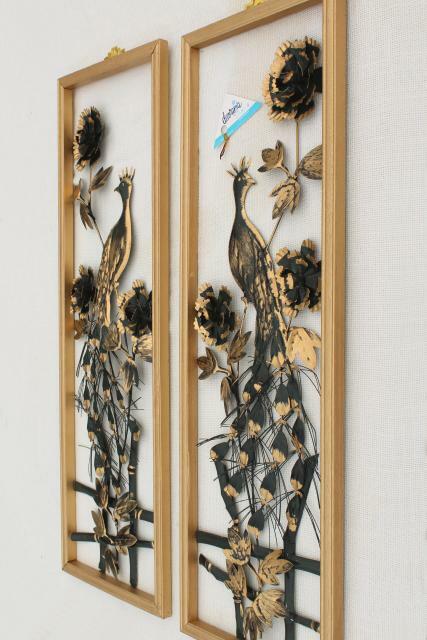 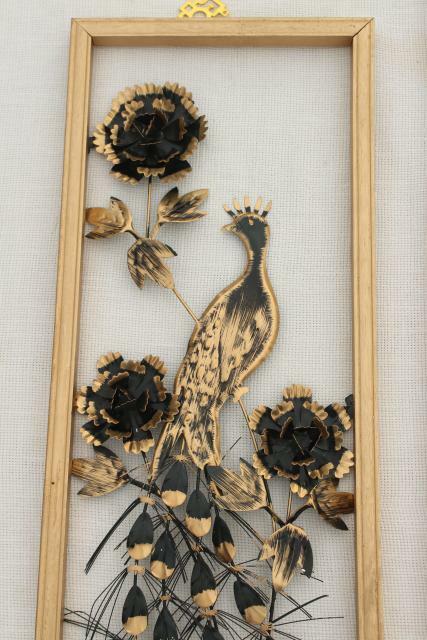 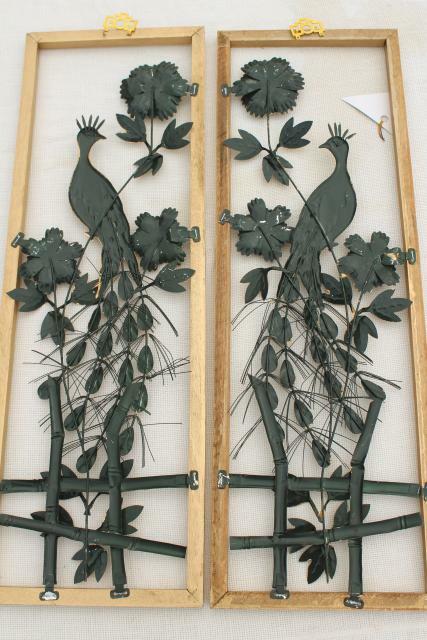 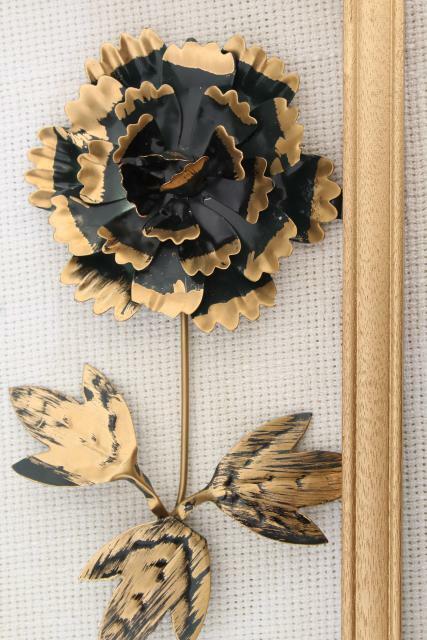 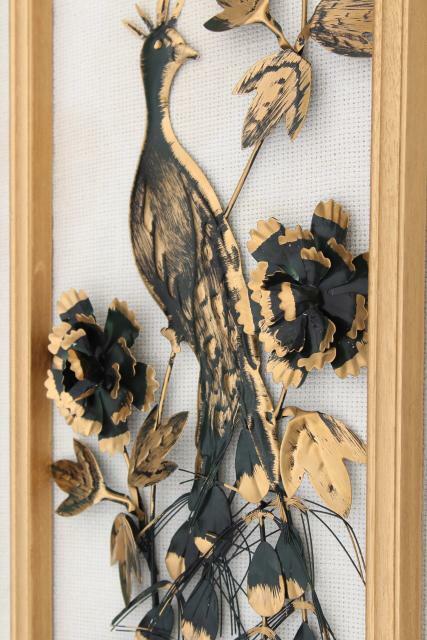 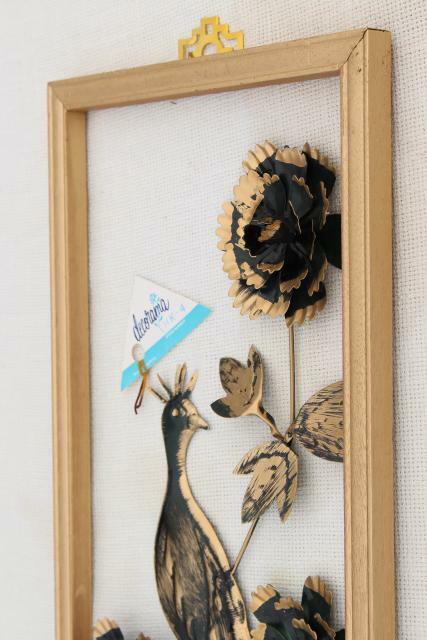 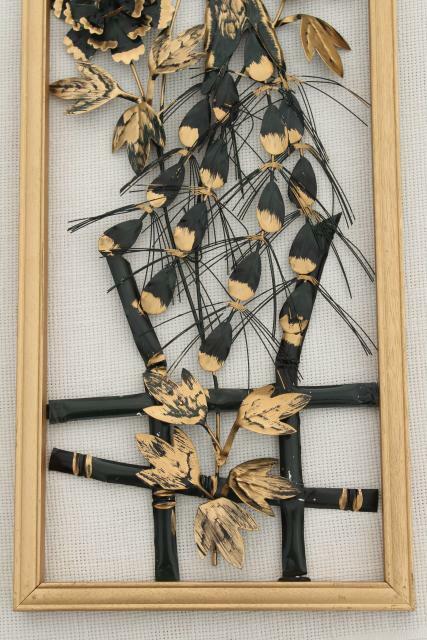 Pair of 60s vintage metal art peacocks set into wood frames open front and back, about 29 1/2" x 10" overall. 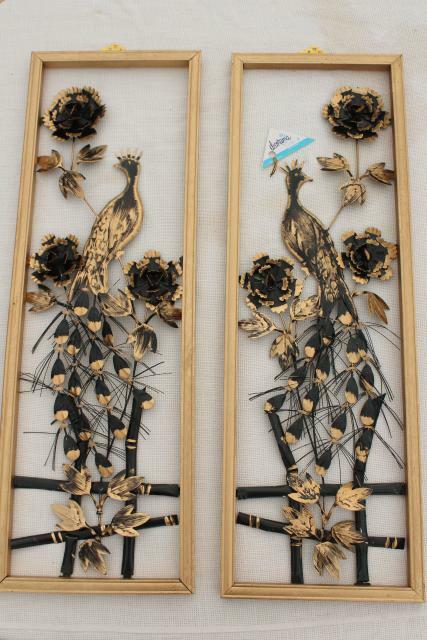 These have never been used or displayed, they're clean and in excellent condition. 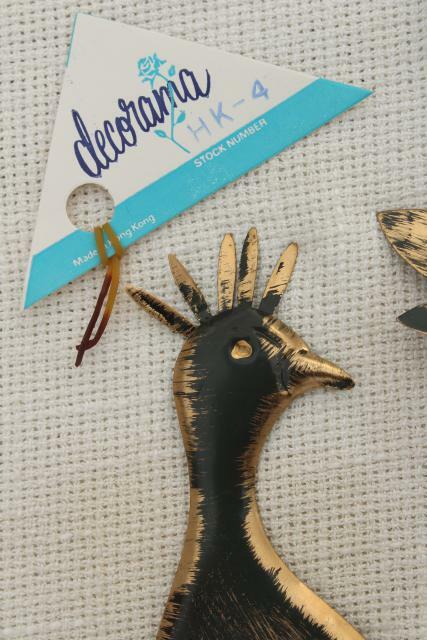 They have the original paper label from Decorama - made in Hong Kong.